Have you ever wanted to skip shaving and just arrive to work with stubble but worried about how you’d be perceived? For a long time, it was frowned upon to come to a workplace unshaven. But as beards gained a resurgence in formal settings, it became common to see bearded men in three-piece suits. The contrast between buttoned-down and untamed really draws the eye. But even as a full beard was deemed worthy of a professional workplace, a problem still lingered. How do you go from clean-shaven to full beard without that awkward transitional beard in between? The solution is obvious. 5 o'clock shadows had to become stylish. Stubble has always been a masculine method of laid-back self-expression. However, many guys shied away from it in highly competitive business environments lest they are perceived as unkempt or uninterested in projecting a professional presence. Now the trend is to integrate a few days of growth into your overall look. 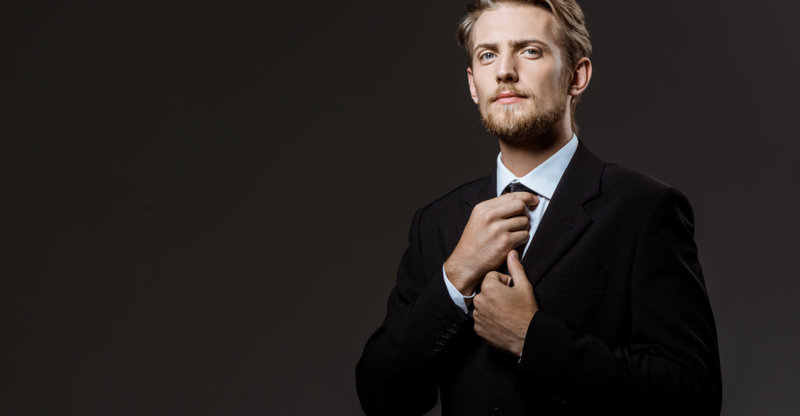 When deployed effectively, you can elevate your profile by showing virility and style in a business setting. Don’t feel you need to shave just to be taken seriously. In fact, it’s sometimes those guys that go against the grain that make the lasting impression on a client or prospective employer. Just don't think this means shaving against the grain is a good idea. Understand that you can’t ditch your razor to experience the full effect of a 5 o'clock shadow in a professional atmosphere. As the title of this article suggests, it will take maintenance for you to pull this look off. You don’t want the people you work with thinking you don’t have the aptitude for self-grooming. To help you along, read below to explore how you can use professional 5 o'clock shadow. What is a Professional Stubble? Professional stubble is a stylish grooming choice which is starting to come into its own. It’s gained prominence with a lot of guys, including celebrities and runway models. What was once the exclusive domain of the clean-cut is now becoming dominated by guys sporting light facial hair. Professional stubble is a stylish grooming choice which is starting to come into its own. It’s gained prominence with a lot of guys, including celebrities and runway models. ​​​​What was once the exclusive domain of the clean-cut is now becoming dominated by guys sporting light facial hair. This is good news for many men who feel confined by the daily imposition of having to shave before being considered “presentable.” Maybe you’ve got that baby face, and you want to age your appearance and be attractive to a different set of people. You might be tired of always getting carded or having people assuming you’re still in high school. A stubble beard can change that. A stubble beard says you’re not afraid of being labeled unconventional. You might be the CEO of your own startup or an artist too busy developing your craft to be bothered with daily shaving routines. Ironically, this symbol of nonconformity is becoming co-opted by members of the mainstream who still want appear edgy even if they work in a corporate work environment. It’s also a good move for guys who want to accent their jawline. A strong jaw conveys masculinity and power. As a bonus, it can help cover up scars from acne. However, you should know if you’re experiencing acne problems facial hair follicles can aggravate the problem. Proper skin care is crucial no matter what type of skin you have. Just like with a full beard, stubble can dry out your skin creating redness and making you itch. That’s why you’ll probably want to use a daily moisturizer that will keep your skin smooth even if your beard hairs are a little prickly. Clinique and Ron Dorff make moisturizers that will help your beard maintain that healthy sheen. So too does Ruffians, a daily facial moisturizer that sports a porcupine on the bottle. Whatever moisturizer you choose, be sure to use it regularly as part of your grooming routine. This will help you avoid breakouts and cracked dry skin. The key to managing stubble in a professional atmosphere is to maintain your beard at a consistent length. Once it passes the threshold from “few days growth” into “sleeping in your car” the effect of cultivating a professional look with your stubble has been lost. If you plan to keep your professional 5 o'clock shadow at the perfect length for more than a day or two, you must invest in a quality electric razor with an attachable guard that allows you to choose the length you want. You can opt for short and trim on your cheeks and then longer along the chin. 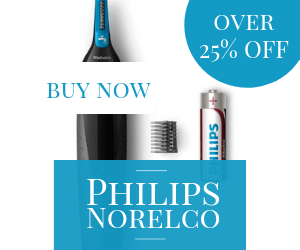 Phillips, Wahl, and Remington are just a few of the brands you might consider. The I-Stubble Plus by Babyliss For Men is also an excellent choice for those who expect to keep a consistent amount of stubble for a while. Not only will regular trimming allow you to keep the shape of your beard consistent, but it also prevents your beard from getting into that itchy, uncomfortable stage that makes you want to shave yourself smooth and start all over. Besides using it on your face, consider pairing your 5 o'clock shadow beard with a short-cut hairstyle. While long hair creates an interesting contrast, the combination of a 5 o'clock shadow and short hair will complement any guy’s look and ensure he gets plenty of compliments too. If you’ve got a disposable safety razor lying around, don’t feel you have to throw it out. You can still put it to use when you shave the areas around your beard. To discover the right way to shave while still maintaining a professional 5 o'clock shadow, read the grooming tips below. You probably already know the basics of how to shave. Shave with the grain, make smooth, steady strokes. But shaving when you want to maintain a professional 5 o'clock shadow means you must keep a few tips in mind. First, you’re going for that dressed-down casual look. But for your 5 o'clock shadow to achieve that, you will need to do some basic maintenance. Shaving below the chin signals that your 5 o'clock shadow is an intentional choice, not a lack of concern for your appearance. You can use any kind of razor you like to shave close along the neckline, including those listed above. Consider the shape of your face before deciding how much or how much or little facial hair you want to grow. Most guys will opt to have a nice even layer of stubble from cheek to cheek, but you might also shave off everything except for a small area around your chin. A kind of faux-tee. If you find an ingrown hair on your neck, the best thing you can do is to put a hot towel over your face before you shave. Actually, this is a good idea whenever you’re shaving your neck or any other part of your face. It stimulates hair follicles and makes them stand up more easily. A heavy5 o'clock shadow will probably take around 5 weeks to perfect. If you find that every time you try to grow a beard, it comes out looking patchy, then this probably isn’t the strategy for you. Instead, you can opt for the closer-cut 5 o'clock shadow you’ve seen on guys like Chris Hemsworth. If you’re looking for something just shy of a full beard, then you might look to go for a medium-length beard, but know that this is a time investment. You’re building a lot more than just a 5 o'clock shadow here, but you’re still keeping it neat and tidy with regular shaving. Tom Hardy recently rocked this look. If you really want to stand out, you might try the V-shaped stubble beard. This one involves trimming at the edges, creating a groove that’s flush with the hair on your upper lip. This little dip will require daily shaving to get rid of stray hairs that pop after a day or two, but you’re sure to get attention with this look. Finally, if you want to abandon all convention, you can ignore the warning about keeping your neck clean and let this part of your beard grow too. Chris Pine has done it and made it work. You should have no trouble being compared with him, right? Stubble beards come in all shapes and sizes. If stressing your professionalism is the goal, then you’ll need to keep up a maintenance regimen. But as 5 o'clock shadow becomes ever-more prominent among members of the elite, from athletes to tech gurus, to leading men fewer people are walking around with this absurd notion that a 5 o'clock shadow makes a man look unprofessional.